Gartner’s 2017 Magic Quadrant report stacks up the best IT service management vendors currently in the market. These nine vendors offer strong ITSM tools to suit businesses with a variety of complexity and needs. 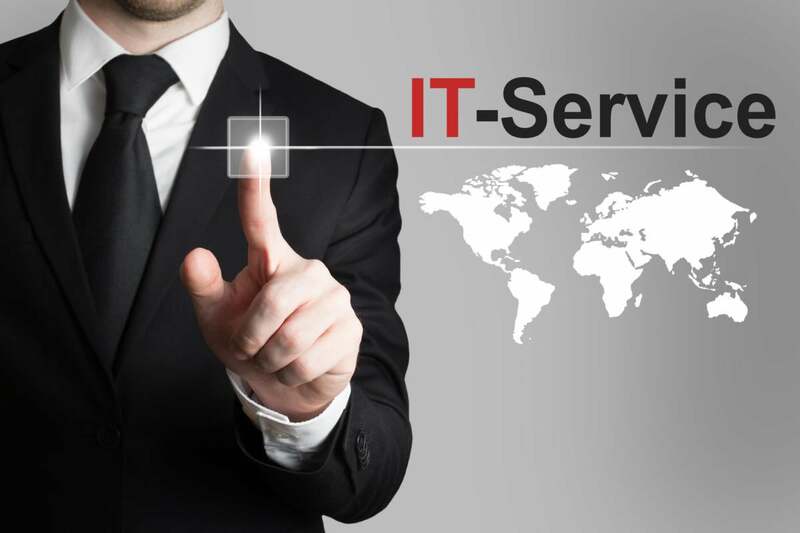 Organizations looking to codify IT management in service of business needs often turn to IT service management (ITSM), a set of policies, processes and procedures for managing customer-oriented IT services. ITSM offers various frameworks for businesses to create management standards around IT services and customer service practices, and to help businesses build structure around the lifecycle of IT services, from creation to management and upkeep. While ITSM does not focus on hardware, network or systems per se, there are plenty of ITSM tools to help your organization support ITSM processes, including ticketing, service, incidents and any upgrades, changes or problems. ITSM tools are typically offered in suites, packaging multiple services and software to support as many aspects of IT management as possible. There are over 100 tools that claim to support ITSM, only some are certified. To help you choose a suite aligned with your needs, technology research firm Gartner offers a “magic quadrant” of ITSM suites, ranking ITSM vendors as basic, intermediate or advanced based on included ITSM capabilities and how well a given ITSM tool integrates with other IT operations management (ITOM) solutions. Gartner’s analysis also helps match ITSM tools to your organizational infrastructure and operations (I&O) maturity. Here are the nine companies that made the list with products for low, intermediate and high I&O maturity. ServiceNow offers two ITSM products: the ServiceNow Service Management Suite and ServiceNow Express, which are targeted at organizations with high and low I&O maturity, respectively. Gartner categorizes ServiceNow as a leader because of its ability to dominate the ITSM market share, making the shortlist for most Gartner clients. Year over year, ServiceNow has expanded its global reach while widening it’s ITOM offerings thanks to early acquisitions that have matured. Usability is one concern for customers, citing the “bundling of noncore product features” that can be confusing. Gartner also cites some concerns that implementing and managing ServiceNow’s ITSM tools uses more time and resources than planned for. BMC offers four ITSM products, each targeted at companies of different sizes. Remedy Service Management Suite is for organizations with high I&O maturity; Remedyforce, which works through Salesforce platform, and FootPrints are for intermediate I&O maturity; Track-It is for basic I&O maturity. Some cautions include poor customer satisfaction with FootPrints, a lack of promotion for Remedyforce and an inability to increase Remedy’s “mind share” with clients. Gartner notes that BMC’s strengths include good usability and that they display innovation ahead of the competition, making it a leader in the market. And BMC’s “broad ITOM portfolio” makes it a good option for mature I&O organizations looking to expand their ITSM tool suite. Cherwell Software offers an ITSM suite called Cherwell Service Management that’s designed for businesses with medium to advanced I&O maturity. Strengths include strong customer engagement and a satisfied customer base that continues to grow. Cherwell Service Management is open to third-party integration and “community-driven extensions” and the company invests in its ITSM tools more than the competition. Gartner suggests ensuring Cherwell offers all the ITSM features your business needs, otherwise you might need to look at third-party options. Another caution is that Cherwell’s focus on the enterprise has created some hesitation for the company’s original market — small and medium-size businesses. Ivanti is the result of a merger between Landesk and Head Software in 2017. The company offers one ITSM product, Ivanti Service Manager, that’s targeted at organizations with intermediate and high I&O maturity and brings strong competition to the market. Gartner says Ivanti’s strengths include automation for device management, strong marketing and improved customer satisfaction through regular feedback. Gartner does caution that, despite heavy investment, few customers use the SaaS platform and a significant portion of revenue comes from other products. There is also some customer confusion surrounding the merger when it comes to licensing and product ownership. Hewlett-Packard Enterprise has one ITSM product, HPE IT Service Management Automation (ITSMA), for organizations with high I&O maturity. HPE has a global presence and brand awareness, especially in the enterprise, but Gartner cautions that a lot of customers haven’t upgraded to a newer version of HPE Service Manager. Businesses should also keep an eye on 3Q17, when HPE will switch to a U.K.-based vendor with a reputation for slow upgrades and limited innovation. Despite the cautions, Gartner notes that HPE has multiple ITOM options that will integrate with ITSMA, making it a good option for businesses already relying on HP. There’s also has the advantage of big data, which allows for better search refinement and analytics around incident, change and knowledge management. CA Technologies offers one ITSM product, CA Service Management, which is designed for organizations with high I&O maturity, making it a niche player. Gartner cautions that CA Technologies doesn’t invest heavily in ITSM development when compared to competitors and there have been few updates besides interface improvements in June 2016. However, despite a steady decline in market share, Gartner notes that CA Technologies has a “strong global reach” that is well supported by sales, system integrators and resellers in EMEA and Latin America. CA Service Management also features strong integration with other ITOM tools offered by CA Technologies. The brand is also trusted, with “high levels of market awareness,” which helps make the ITSM suite profitable. Axios Systems focuses on ITSM solutions and asset management exclusively, offering a niche product called Assyst that caters to organizations with high I&O maturity. It’s only available in Europe and North America, giving it the smallest market share of any vendor on this list. Gartner notes that, as a result, customer growth and revenue have lagged slightly. However, Gartner notes Axios’ reputation for maintaining good customer relations by providing customer engagement programs, post-sales meetings, focus groups, meet-ups and online forums. And Gartner notes that “most customers have updated to a recent version of [Assyst],” which means customer engagement has remained strong. EasyVista Service Manager is the only tool offered by EasyVista and it targets companies with basic to advanced I&O maturity. It has a smaller share of the market compared to competitors and Gartner notes that the ITSM suite doesn’t have enough to meet every need of a high-maturity I&O company. EasyVista recently raised $8.4 million in funding and is heavily funding more global acquisitions to expand outside Europe and North America. EasyVista Service Manager can run via SaaS or as an on-premises suite, and Gartner notes that customers are almost evenly split across both options, which is uncommon. And while some SQL knowledge is helpful, customers report that most configurations and customizations do not require coding. IBM’s ITSM product, Control Desk, is designed for high I&O maturity organizations and integrates seamlessly with other ITOM tools from IBM. However, Gartner notes that IBM hasn’t evolved the suite enough to compete in the ITSM market and it doesn’t make the “shortlist” for most of Gartner’s clients. Part of the problem might be that IBM primarily markets to existing IBM customers and is typically pushed as part of larger ITOM purchases. But with strong integration, global partnerships in Europe and Asia — a location where other vendors aren’t as present — IBM is still a strong choice. Gartner also notes that there’s a lot of potential opportunities in the future with IBM’s Watson, with plans to release a “cognitive service management” strategy for AI and service desk automation. This story, "The top 9 ITSM suite vendors for 2017" was originally published by CIO.